Run with 3,000 Santas On Sunday 7 December! 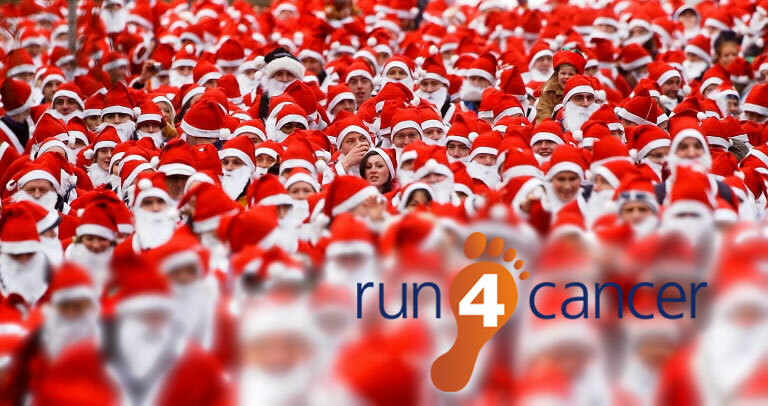 Run 4 Cancer supporters from all around London and the South-East will be dressing up as Santa Claus on Sunday 7 December for the 2014 Santa Run London. This year's Santa Run takes place in Victoria Park which is London’s oldest public park. Opened to the public in 1845, Victoria Park has been used for nearly 170 years as a place of recreation and sport. It was voted the nation’s favourite park last year. For this year’s Santa Run, runners can choose between 5Km and 10Km courses. Open to people aged eight and above, the course is also suitable for wheelchair users. 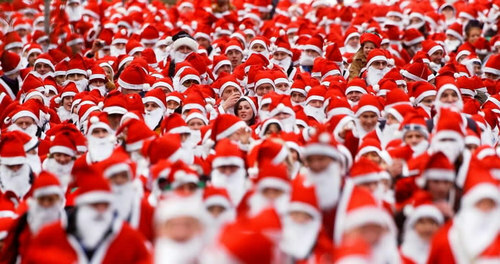 Over three thousand Santas are expected to take part in this year’s run! For the £22 entry fee, Run 4 Cancer supporters receive a Santa Suit comprising hat, jacket, trousers, belt and beard. Runners are able to keep the Santa Suits after the race. Water stations and a finisher’s medal are also included. Only two weeks to go until London’s Santa Run! Run 4 Cancer was set up by a team of running enthusiasts, all of whom have lost a family member or a friend to cancer. As a cancer respite charity with a sporting focus, we provide relief from the difficulties of living with cancer. Run 4 Cancer provides days out and short-breaks for British families affected by cancer. We also make grants to UK based care institutions and fund research into the positive effects of exercise (e.g. running) and how it can help with cancer prevention and recovery. Cancer is the toughest fight most of us will ever face. After diagnosis, life is taken over by hospital visits, uncertainty and often financial worries. Four in ten people in the UK (40%) will develop some form of cancer during their lifetime. Join our running community and help people living with cancer at the same time.